In return for financial support that represents a tiny fraction of profits, large corporations are receiving “endorsements” in the form of product badges promoting health benefits or sustainability efforts — despite the fact that many of these corporations have rotten sustainability records. This includes purveyors of corporate coffee, including Nestlé and JM Smuckers (Folgers). It isn’t apparent from the badges or labels what they truly represent, nor in some cases is it even possible to figure out from viewing the websites of the organizations, corporations, or sponsors. 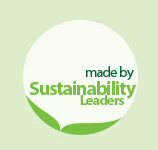 Now Walmart is putting a “Made by Sustainability Leaders” badge on many products. While this gives the appearance that these are products are good for the environment, the badge really represents any product made by a company determined to be a sustainability leader based on the (self-administered, unverified) TSC survey. Not only do we not know the TSC criteria, the badge does not pertain to the actual sustainabilty of the individual product, and none of this is apparent to the consumer. Are these corporations truly “sustainability leaders”? One probably needn’t go much further than noting paper products by Georgia Pacific are badged by Walmart. Georgia Pacific is a TSC member that is owned by the Koch brothers, and its products are boycott targets. Other Walmart suppliers that are not TSC members (e.g., Nestlé) can also display the badge; Walmart uses the toolkits developed by TSC to rank its suppliers and hand out badges. Other TSC members include JM Smuckers, Monsanto, Dow Chemical, Dupont, and BASF. Following Walmart’s lead, other retailers or the corporations themselves could label their own products with some similar sort of badge or claim. I can’t get behind a mystery badge that puts money in the pockets of companies that are often so egregiously anti-environment. For more details, read this excellent article by The Grist about this greenwashing initiative. The Academy of Nutrition and Dietetics (AND) has allowed Kraft to put it’s “Kids Eat Right” badge on their pasteurized prepared cheese product. This seems dubious on the face of it, and more so when you learn Kraft is a major sponsor of AND. The New York Times has a report on this initiative, noting that other nutrition scientists are so uncomfortable with the Academy’s funding by big food corporate sponsorships that they have formed their own group, Dietitians for Professional Integrity, that calls for better transparency and ethical sponsorship. There are more resources on their website regarding the conflict of interest generated by corporate sponsorships. The proliferation of different types of certifications, labels, endorsements, badges, etc. is confusing to a public that is already suspicious about them. We can debate the legitimacy and ethics of TSC, AND, and similar organizations all day, it really doesn’t matter. What does matter is that the basis for the badges, endorsements, and labels must be honest, transparent, and easily accessible and understood by the public. Same goes for genuine certifications. People need to be able to understand what (and who) is behind the certification. When they do not, it leaves consumers to be duped into purchasing products that are not sustainably produced, or so distrustful of certifications or other claims that they disregard them all and just buy what is cheap and convenient. Either way, it’s a win for the profits of these companies (which in turn increases their power and influence) and a loss for the environment.